Today we congratulate Todd Halvensleben, Project Engineer, who is celebrating his 20th anniversary with Vierbicher. Todd started working for Vierbicher on December 14, 1998. Todd earned his Civil Engineering degree from the University of Wisconsin - Platteville and is a licensed Professional Engineer in Wisconsin and Iowa. Todd’s work experience includes all aspects of municipal and transportation engineering, including street, sanitary, water main, storm sewer design, construction for roadways, new subdivisions, bridges and multi-use trails. Todd enjoys living and being active in the Reedsburg community with his wife Sue and children Derek, Makenna and Ella. 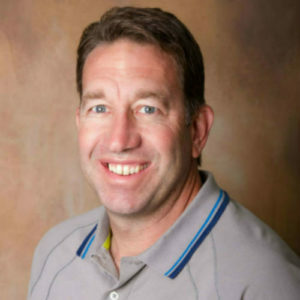 Todd has valued coaching his children’s soccer, basketball and volleyball teams, and participating in Scouting and Church organizations. He is thankful for the time he has been able to spend with his family on vacations, trips to the mountains, the beach and exploring all 50 states. Please join us in congratulating Todd for 20 years.